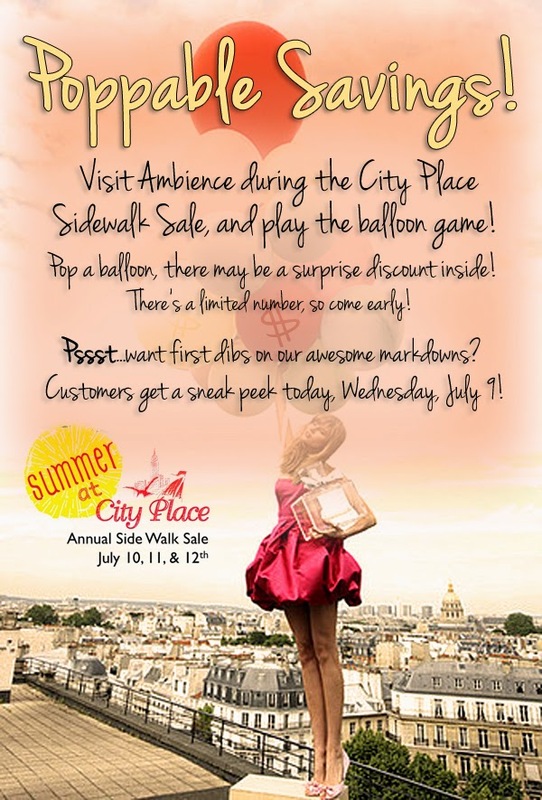 Visit us at Ambience during the City Place Sidewalk Sale and play our balloon popping game! Pop a balloon and you may receive a surprise discount! We've only got a limited number of prizes, so come early! If you want a sneak peek at all the goodies we've marked down for the sale, customers get first dibs today! Mark your calendars for July 10, 11, and 12th. You won't want to miss this event!